The Kershaw Zing 1735 has a high quality blade made from Sandvik 14C28N that is machine grooved with a 3-D striated pattern. There are two ways to open the knife. Use the contoured thumbstuds for a normal opening or use the flipper on the back for a lightning fast opening. A liner lock holds and releases the blade. 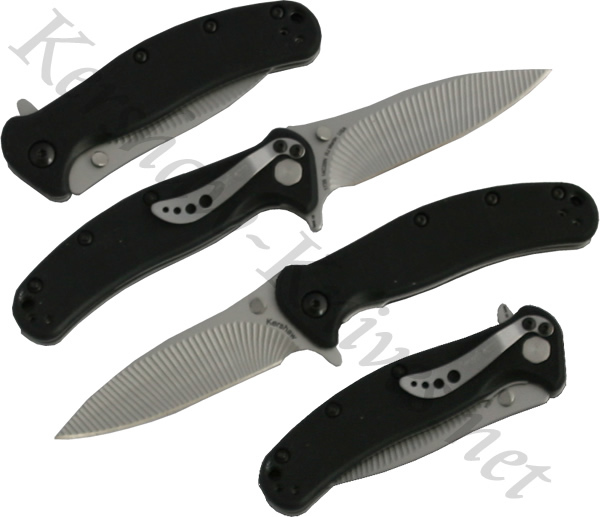 The handle is made from black polyimide and has a pocket clip that can be mounted on either end of the knife.